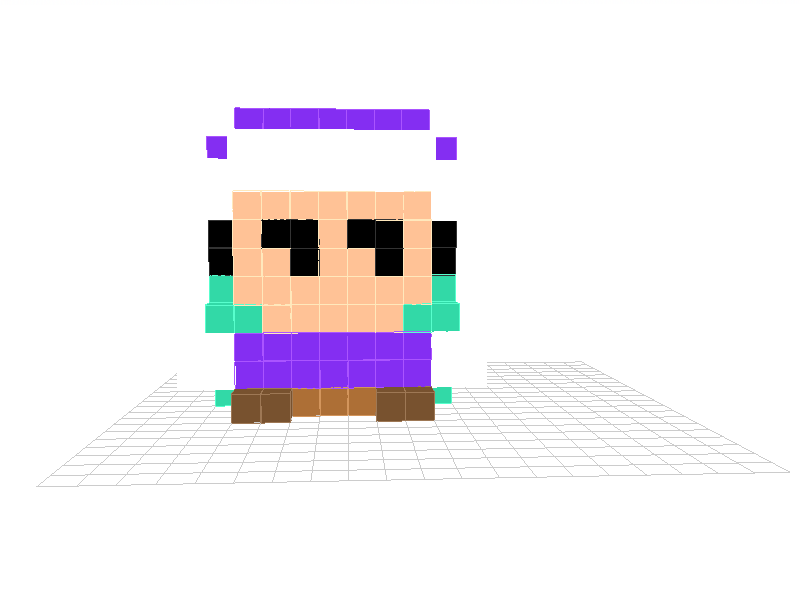 I made this as a 3D recreation of @DJ Omnimaga 's coloured version of Reuben, also from Reuben Quest, which is his game TI-basic game(84+) that was also remade in Axe(also for the 84+). You are allowed to edit it, but don't if unless you have a good suggestion. When you do edit, shorten the new link(because it will change) and post it here along with screenshots. I like it. I think that the front should not be as flat, though. Eg the face should be more of a sphere, but I don't know if it would look good. 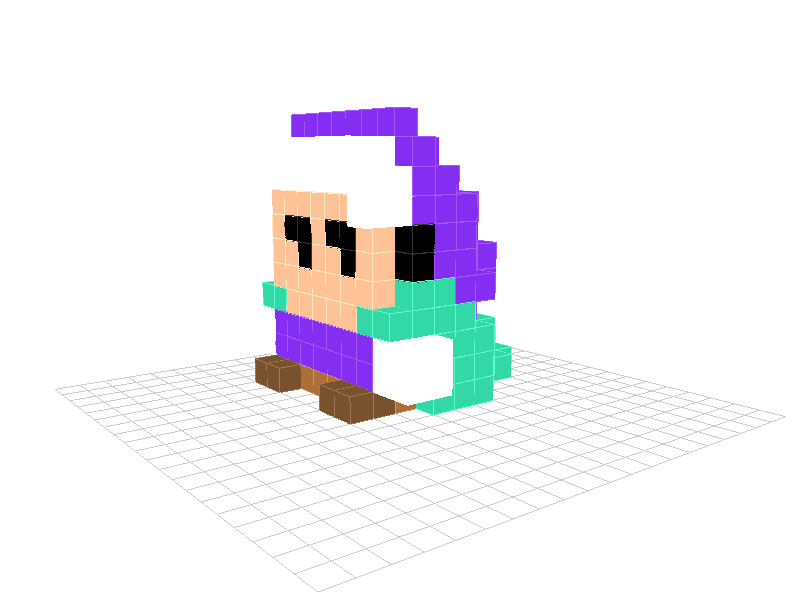 Also what about a voxel ? 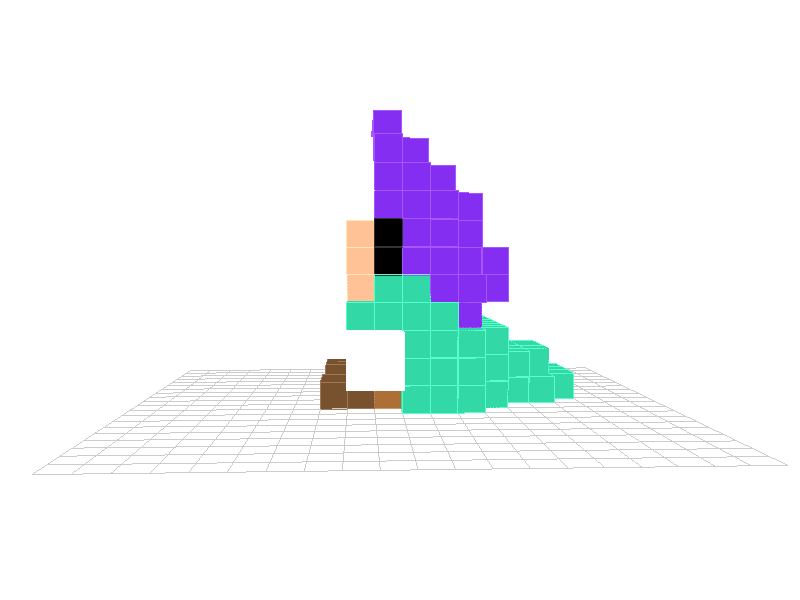 I did that, but @KingInfinity thought it looked better flat, because if it's not flat, then you can see the edges of his eyes from his side. I want to make him wider and taller. If you have a suggestion, edit Reuben to what you're thinking of and provide the new link here. 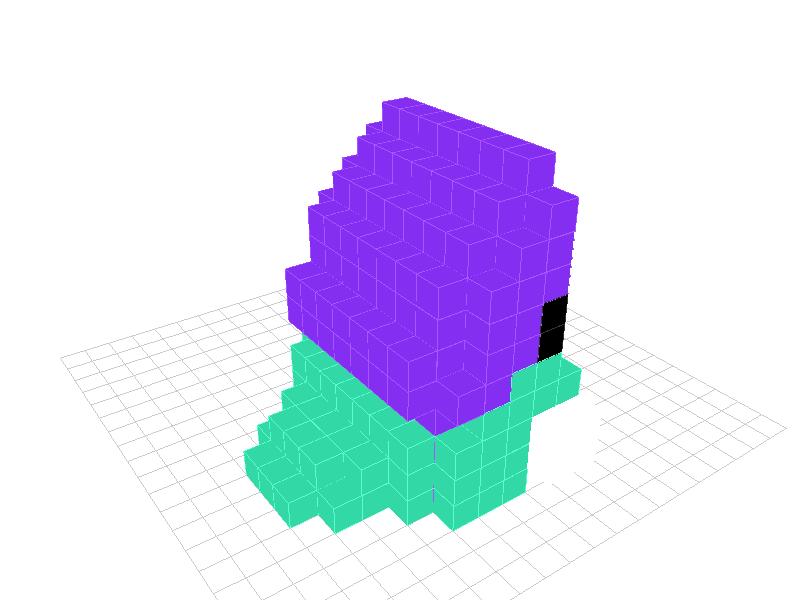 Neat It'd probably be difficult to make the face not flat with the size of these voxels. But the hoodie (or whatever you call that thing) could be sticking out over his forehead. That'd give more depth even with a flat face. Actually it does stick out, by 1 block. Really? I didn't even notice. I was just trying to base it off the coloured version of the Reuben there on the first block of that photo. Thanks! Yeah, it may be hard to notice, because the edge of the hood is white(even I had trouble editing that part), but it does stick out. 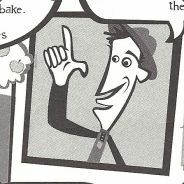 I did post a link to a moving, animated version of the Reuben in the first post on IRC, but I don't know where it is now. That was either yesterday or 2 days ago. Ok I'll see if I can find it later. If you really want to get into voxel art, I would highly recommend downloading MagicaVoxel, an awesome voxel art app. That app seems cool. 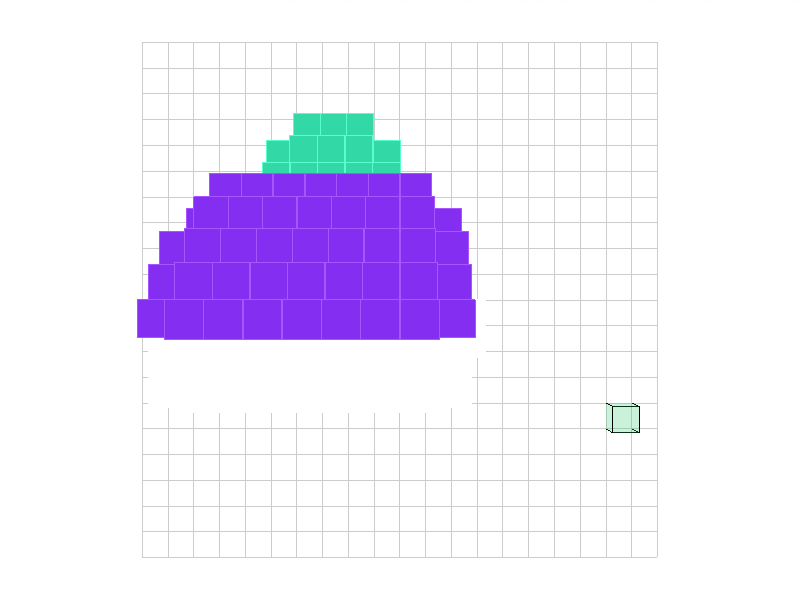 I am not planning to do much voxel stuff other than remaking pixel art, but this could definitively be useful. Too bad there doesn't seem to be a GNU/Linux version. Thanks for the suggestion, @Ivoah ! I'll see if it's easier to use than that Critter Creator. Thanks for the compliment, @add .